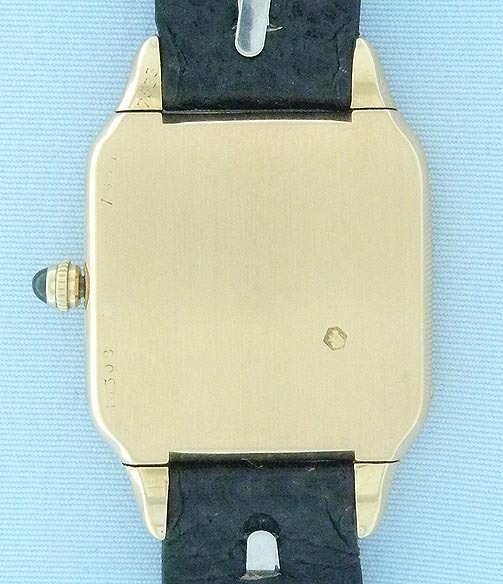 Fine and rare very early Cartier Santos 18K gold vintage wrist watch circa 1912. 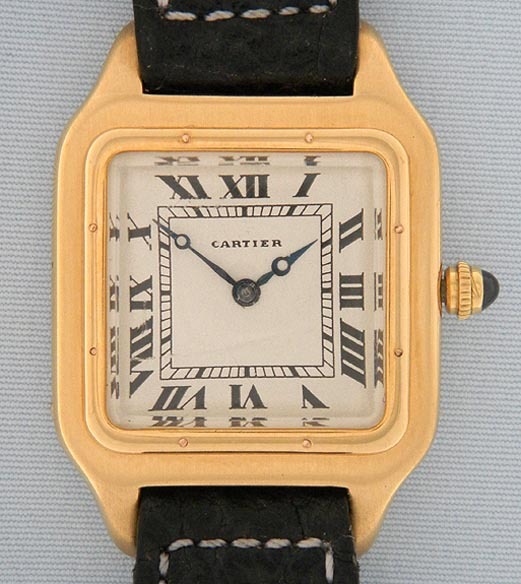 Silver dial refinished by Cartier's dial maker in Paris. Blued steel hands. Rhodium 17 jewel movement #16308. Original crystal with gouges. A rare, early and handsome classic wrist watch.